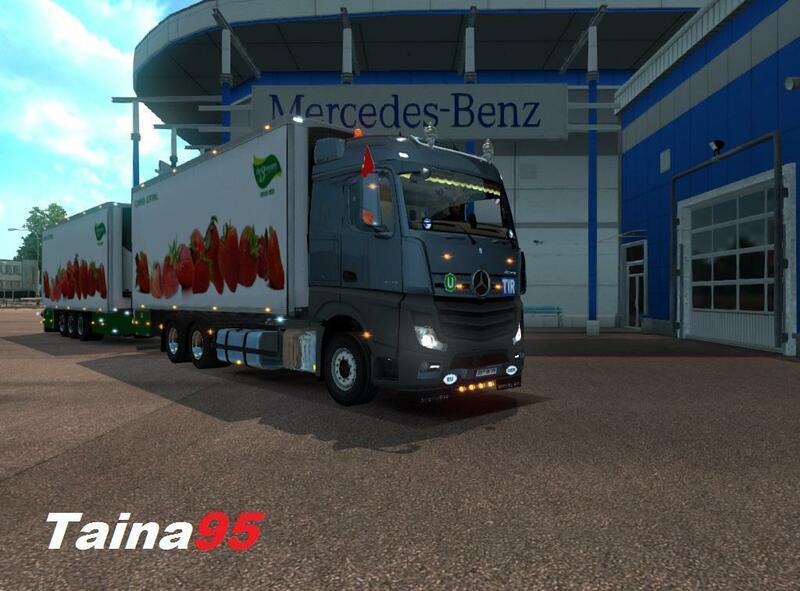 Mercedes Actros MP2 v3.2 (1.33.x) for ETS2 | Euro Truck Simulator 2 game. this it's an emergency update it's only for make the mod work correctly on 1.33 version of the game. -updated the anims to work with new rain system. -fixed rear plate position on all chassis. 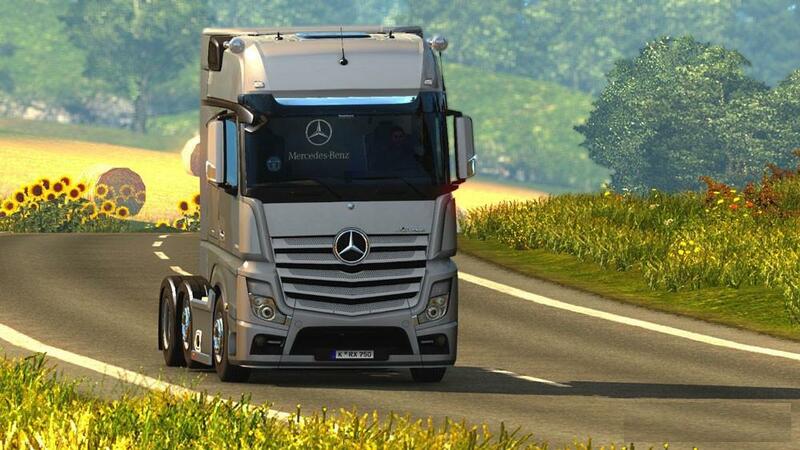 -added old mercedes steering wheel. *About the tandem addon it will be updated when kast update his mod!